A drill press is a basic woodworking tool used in drilling surface holes or in a machine. 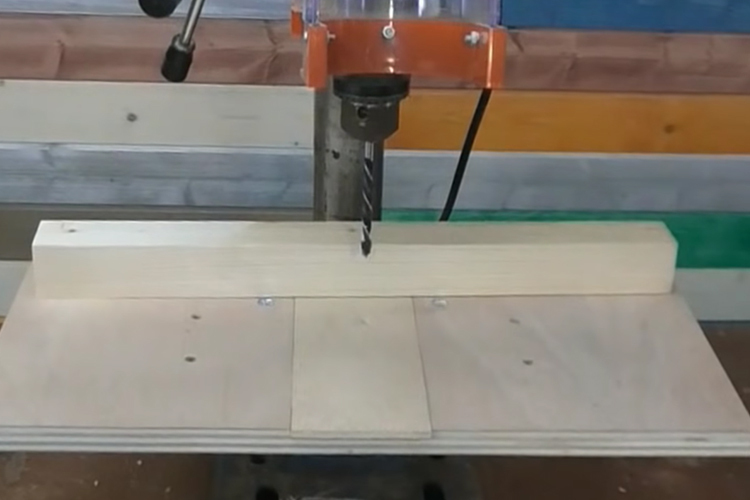 Asides from being used to drill holes, the drill press is also a versatile woodworking tool. It can be used to carry other basic tasks like tapping, reaming and countersinking among others. Designed with a motorhead and a chuck, the drill press is very simple to use tool that is used by professionals and beginner woodworkers. In this discussion, we shall be taking a look at drill press safety rules and the need for it. Why Should You Know Drill Press Safety Rules? Knowing how to make use of a drill press is very necessary for understand the parts and their overall functions. Maybe the first knowledge of safety while making use of a drill press is to know how to use the drill press itself. So having a good understanding of how the drill press works, you might be wondering why you still need to know about safety rules for a drill press. Yes, every rule of drill press safety shields you from potential hazards that are likely to happen while making use of the tool. Hazard and accidents are the most likely consequences of not sticking to safety rules for the drill press. While some people do not know the safety rules at all, others do but don’t just stick to them. In this instance two of such person are the same. When you do not know or stick to drill press safety guards, a number of outcomes is possible. These outcomes among many others of violating safety rules include. You’re likely to expose yourself to electric shock: The drill press makes use of a lot of power supply. If safety rules are not obeyed, you are likely to suffer a shock when any unforeseen event happens. 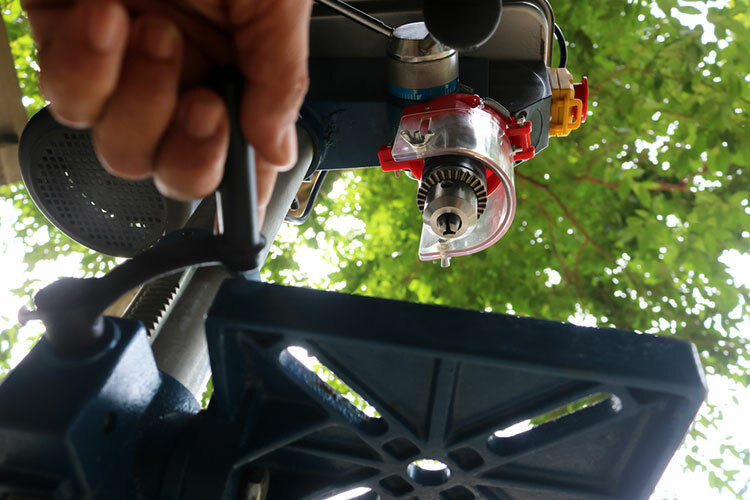 You are likely to have your tool damaged: Drill press safety rules not only secures you as a person, but it also secures your tool. When you don’t prepare a good workspace and environment, should danger occur, you are likely to damage your tool. You put yourself at a risk considering how sharp the tool is: The drill press has a number of delicate parts that can harm you if not properly handled. Handling the drill press maintaining the safety rules helps to keep you safe from any incident. With an understanding of what drill press is all about and the need why you should know the safety rules, let us look at what these safety rules are. For the purpose of this discussion, we have categorized these safety rules in three subheadings. We have the safety guidelines to follow before you start using the drill press. We also have safety rules to follow while making use of the drill press for operation. Then the last category will be safety rules for the drill press to avert any physical injuries. Before commencing work with the drill press, it is important you prepare the work environment for the purpose it is to serve. Making your work are safe both for yourself and the drill press is very important to the successful usage of the tool. So how do you make your work are safe for yourself and the machine? Let’s run through four important tips for ensuring work area is safe for drill press operation. Creating enough workspace for yourself and the drill press is very important to ensuring safety of both. When the workspace made available is limited, there is a highly risky of being a victim of an accident that occurs. However, with a large space, you are able to move around freely when making use of the drill press. This gives you all the comfort needed to work effectively with the drill press. For the effective functioning of the drill press, certain attachments need to be in place. This is more so for a versatile drill press. In other to avoid any sort of malfunctioning, it is important you check all of these attachments and be sure they are in place. You don’t do this while the drill press is in use, you do it before starting work with the drill press. Before every use of the drill press, make sure to check all the cables of the drill press and be sure that they are in place. Check through them for breakages and complete cuts. Immediately you find any of such, make sure to fix or replace them. Do not start work with a drill press when you observe any breakage in the wiring. The work area to be used for the drill press operation should be one with adequate power supply provided. Also in a dark room, ensure proper lightning is provided while making use of the drill press. Once the work area has been prepared safely for you and the drill press, the next thing to note is the safety guidelines to follow while making use of the drill press. When making any adjustments to the drill press, ensure this is done with the power supply put off. Don’t make any adjustment with the drill press still powered. Work at the speed limit provided for an average drill press to operate never exceeds it. Make sure to ensure that the size of the drill press bits is equal to the capacity of the apparatus at every working point. Always work on the chuck carefully (tighten it actually) once but is inserted into the drill. The rotating bit is made up of a really sharp blade, so keep your hands at a distance away. Avoid making direct contact with the machine immediately you are done using it. Give it some time to cool off and also prevent others from touching it too. Never use your hands to stop the rotation of the bit or the machine. Just put off the power and give it time to stop by itself. Always turn the drill press off after each operation and do not leave left over on the working surface or in the work area. Because the metal gets absolutely inelastic in cold conditions, it is advised that you handle with utmost care. Physical injuries could happen because of shock or damage to your hands and face. There are certain safety rules that help to prevent this and avert these physical injuries. These safety rules help you avoid shock and injuries to your face and hands while working with a drill press. Electric shock from the usage of drill press can cause a lot of damage to your health and can even result in death on some few occasions. To avoid electric shock while making use of the drill press, do the following. Avoid coming in direct contact with exposed/naked wires. When this is noticed at any point, put off the drill press before trying to rectify it. Use an electric circuit with the proper ratings and secure all cords and plug in their place. Make sure you don’t carry any tool by the cord and use 3-prong adapters for drill press. Carefully disconnect the cord from the receptacle without having to yank it. Avoid unnecessary exposure to heat and don’t make use of the drill press in wet conditions unless they have Benn properly insulated. With avoiding electric shock while making use of the drill press already known, how do you avoid injuries on your face and hands when making use of a drill press? Keep the drill press free from any dirt, rust or grime of any kind. Constant and effective maintenance of the drill press can help you achieve this. Keep the drill press at a speed that is not too high and not too slow. Make sure the speed is directly proportional to what is required of the job. Ensure proper alignment of the drill bits with the jaws of the drill press. To do this, you have to hold the drill in its place and run the bit to be sure it doesn’t wobble. Working with a sharp bit is better because of its high holding ability without much pressure. The right angle with utmost care is the best way to start the drill press. Make sure to hold the drill press firmly and in the right way. A metal punch can be best to start the drill press. Use little pressure when drilling soft metals and more pressure when drilling metals that are of a stronger material type. Familiarity with the tool can contribute largely to your safety while making use of it. So keep the tool away from anyone who is not trained to use the tool. Once again, it is important to reiterate that knowing drill press safety rules, is as important as knowing how to use the tool itself. No matter how much of a professional you are at woodworking, keeping to safety rules is very important. See to ensuring that your work area is good for you and the machine all the time. It is also necessary to adhere to the operational safety guidelines of the drill press. Keeping your face and hands safe is necessary too. Eye goggles and protective gloves among others can help keep your face and hands safe while using the drill press.